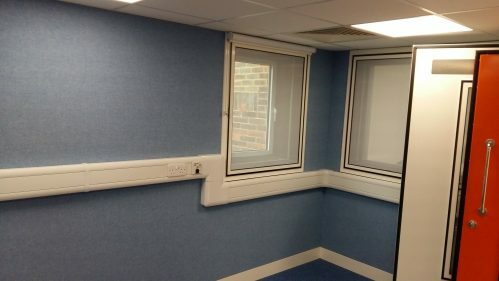 Croydon Health Services NHS Trust decided to create a new specialist children’s hearing service at a former primary school in Croydon. 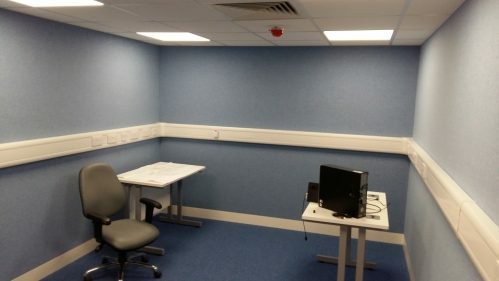 The new centre included two new audiology rooms for diagnostic paediatric audiology including VRA (Visual Reinforcement Audiometry). 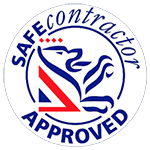 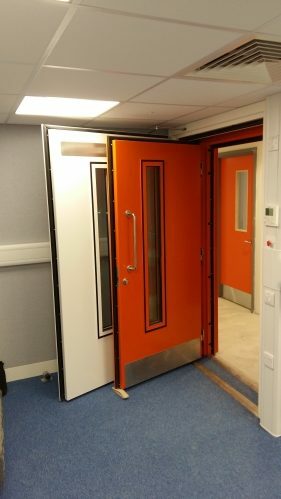 AGS Noise Control secured the contract to design, manufacture and install the specialist Audiology rooms from the main contractor. 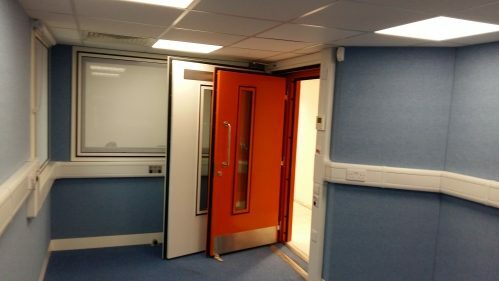 The proposed location of the new audiology facility presented some specific challenges, first the clear height was very limited which resulted in an innovative design for the air conditioning system to achieve the required low noise levels and achieve the required levels of comfort. 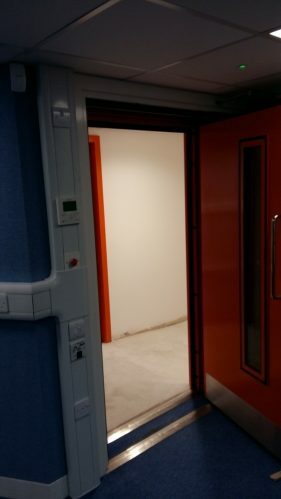 The second challenge was due to the location, with one room located next to the toilets and washrooms and the other to the external building façade and the tram line just beyond. 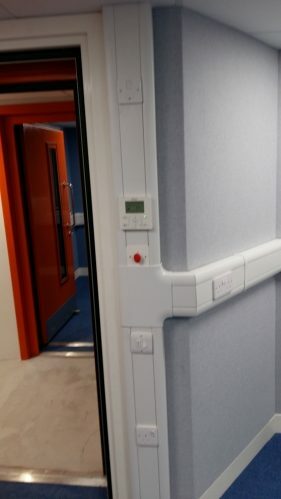 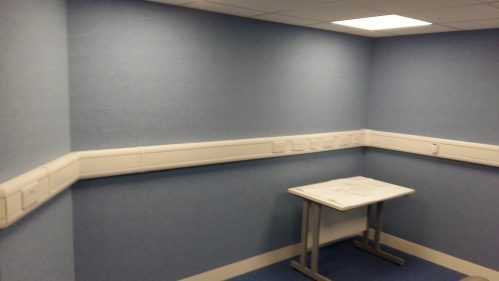 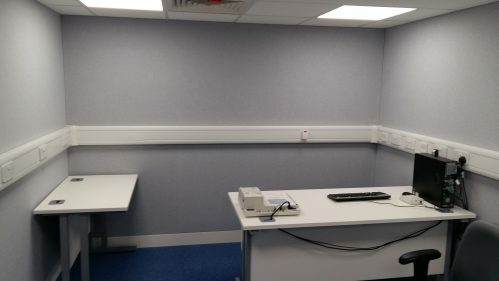 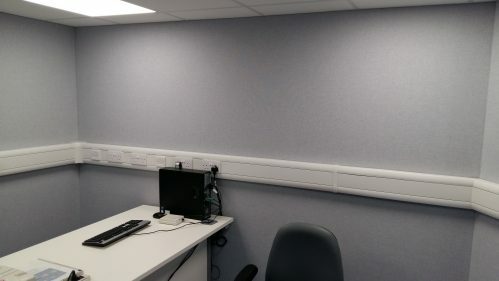 Careful design of the Audiology room’s walls, door, and ceilings was required to ensure the finished booths met with the requirements of HTM 08-01, ISO 8253-1:2010 and BSA guidelines. 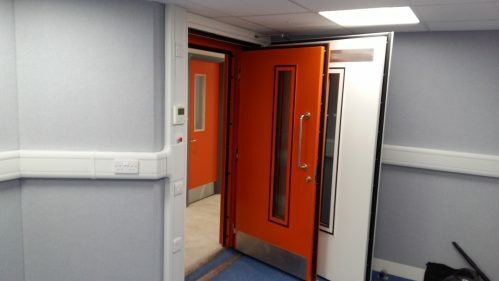 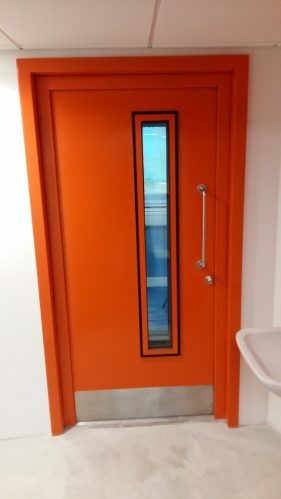 AGS Noise Control Ltd supplied and installed new floating floors, acoustic wall and ceiling panels, air conditioning, electrical installation including dimmable LED lighting, one way observation window to the VRA facility, VRA patch panels and cabling and the outer and inner acoustic door sets, the outer doors being powder coated orange to match the coloured zoning of the building. 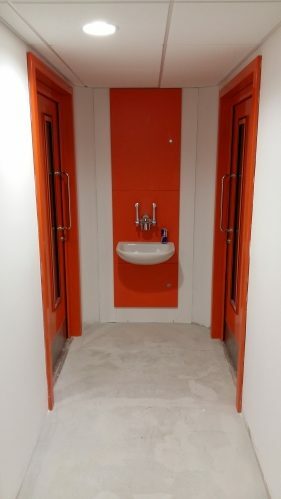 The installation also included all internal finishes to walls, floors and ceiling. 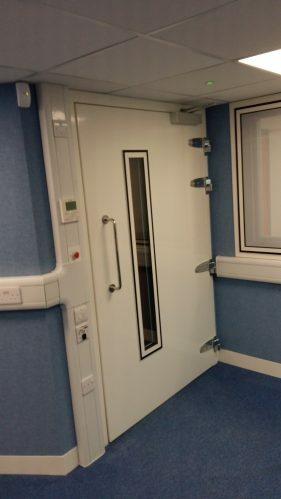 Post installation acoustic testing confirmed both booths met the requirements of ISO8253-1: 2010 and HTM 08-01. 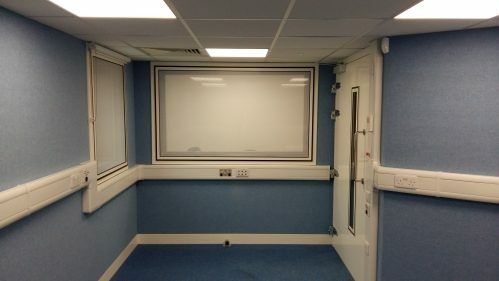 Audiology room with fabric covered acoustic walls an acoustic door and an acoustic window.